I have been publishing a magazine since 2009. 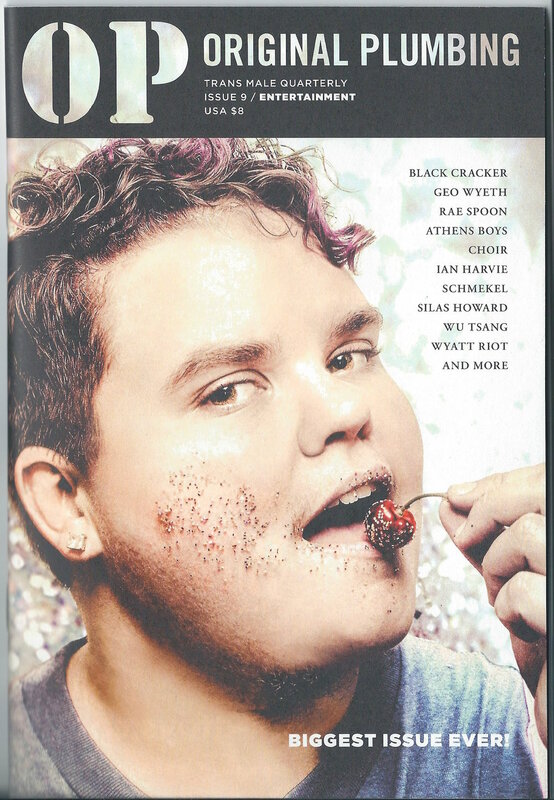 Original Plumbing is a print magazine focusing on trans male culture, created through a trans lens. Founded by Rocco Kayiatos and Amos Mac in 2009 in San Francisco, we quickly expanded to include apparel and events for the trans community and beyond. We have always remained a small team consisting of two owners (editors/publishers) and a couple of much-loved volunteers. We currently produce and ship out of Los Angeles, CA. After 10 years of publishing, the best of Original Plumbing will be published as a coffee table book. Slated for release May 14th, 2019 on Feminist Press, pre-order are available.